“Referendums are important democratic tools that respect the reality of our residents,” said John Belvedere. 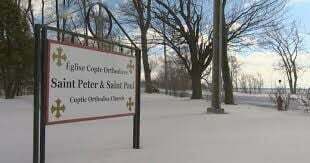 The Pointe Claire Mayor was referring to a recent referendum held by the city for neighbouring residents of the Coptic Church. The church, located at the corner of Lakeshore Road and Sources Boulevard, had asked the city permission to build an extension for its services in the nearby parking lot. A vote was cast for area residents to approve the request and “over 75% of residents qualified to vote and living in a zone adjacent to the sector in question participated in this democratic process,” Belvedere noted. “The votes were counted and showed that the proposed amendment received the support of 53% of the people, with 66 votes in favour and 58 against,” explained city spokesperson Marie Pier Paquette Seguin. Referendums “allow the community to express itself freely concerning the developments in their neighbourhood for the benefit of all,” Belvedere said.